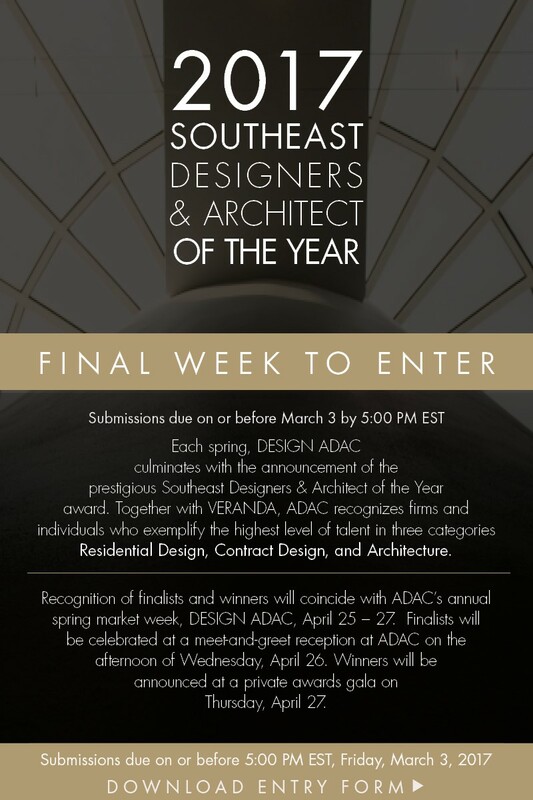 Final Chance to Enter for ADAC’s 2017 Southeast Designers and Architect of the Year Award! Encourage your top designers and architects to submit for ADAC’s 2017 Southeast Designers and Architect of the Year Awards. Email the entry form to the designer with a quick note to tell them you think their work should be considered. Past winners can win again, so send to anyone you think is a strong candidate for this honor! Submissions are due to mwilson@adacatlanta.com on or before Friday, March 3, 2017.